Plants from Okinawa, land of eternal summer, have a strong resistance to ultraviolet light. 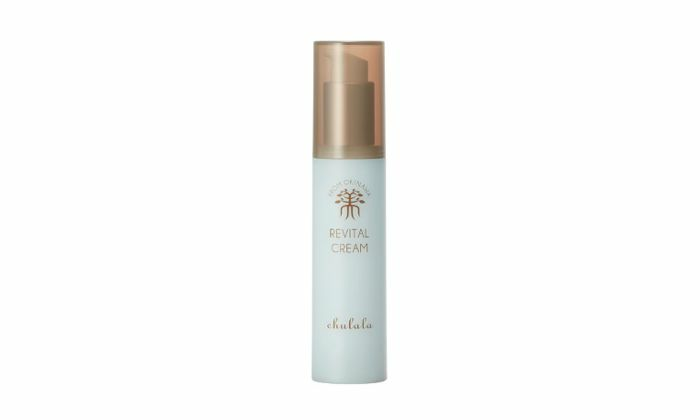 Revital Cream contains essences from some of the most popular of these Okinawan plants such as aloe vera, Japanese mugwort, okra, and Okinawa mozuku. It also contains penetrating ceramide nanocapsules and carefully selected plant oils to improve its skin protection effects. It's moist but not sticky, and you can feel the moisturizing effect. After preparing your skin with lotion, put the appropriate amount in your hand and rub it gently into your skin.